The Torres Female returns to the field a week after the victorious trip against Riccione for 1-0, result that allowed to reach the fifth consecutive victory. The big match of the day 14a will see the rossoblù engaged on the field of Grifo Perugia Women, second strength of the championship at 29 points. It is an important crossroads for the destiny of the formation of Desole that with a victory could look even more closely at the very first position of the championship, currently occupied by the San Marino Academy that in the last round impacted for 2-2 against Pontedera. 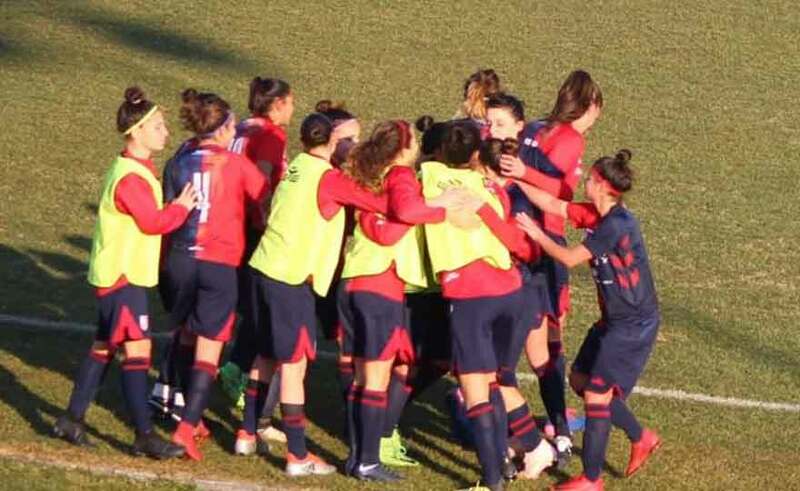 The Grifo Perugia Women is back from the sonorous 4-0 inflicted on the Jesina in Marche, a victory found after two consecutive losses gained a little 'surprise. Just by virtue of the slight braking of the Umbrian, Torres Feminine has managed to recover very important points that are worth gold in view of the challenge on Sunday: this direct clash could put the rossoblù in the ideal conditions to be able to aim at the big shot, always taking into account the results of the other fields and in particular of the challenge between San Marino and Femminile Riccione. In the first race prevailed the reds of Mr. Peverini with a dry 3-0, a heavy result that has pushed the group to an immediate reaction; in fact, from that game, also complicit in the market, the Torres Feminine has continually embarked on a climb towards the summit that is making all the rossoblù environment dreaming. The appointment is scheduled for Sunday 10 February at 14: 30 all'antistadio "Renato Curi" of Perugia.